You work long hours in a tough city and spend your weekends outside of the city. And BLADE is here to get you out. You've earned it. 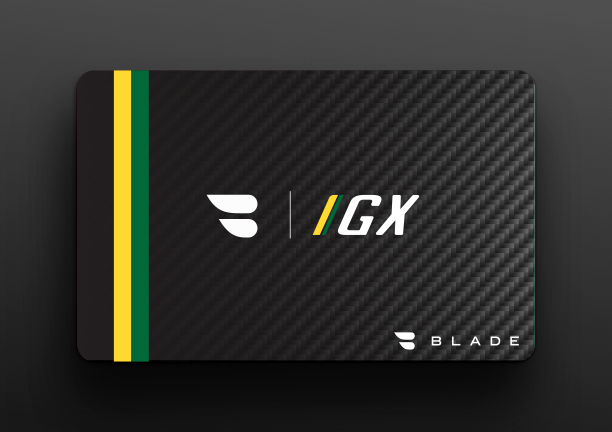 By purchasing BLADE-GX now, you are not only unlocking $150 off flights through summer 2019, but you are also gaining access to year-round non-flight benefits of existing BLADE-GX members who purchased in 2018. 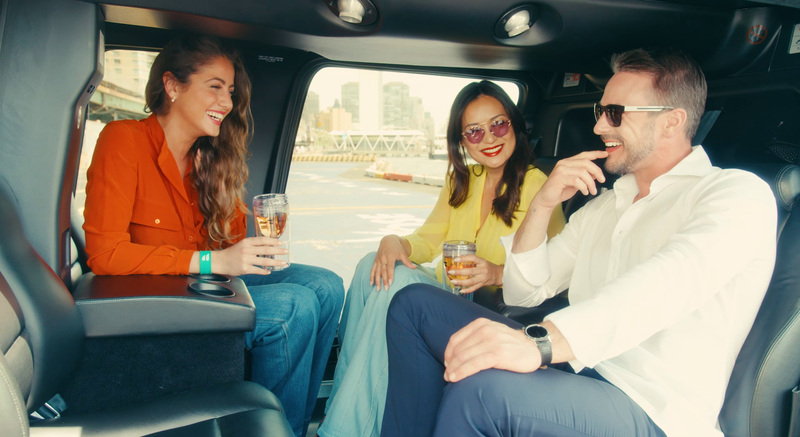 Seats on flights between Manhattan and Hamptons, Nantucket, or Miami at impossibly attractive pricing. BLADE-GX pays for itself after just 3 flights. You can fly to the Hamptons 52 weeks per year, and to Nantucket through the early December Christmas stroll. Fly on fast and quiet Bell 407 helicopters with cabin class interiors–not choppers. Or enjoy the new Caravan EX Seaplane with a full jet-style interior–the fastest seaplane in the Northeast. Or enjoy the BLADEone jet, a retrofitted Bombardier CRJ 200: typically configured to accommodate 60 passengers, masterfully reimagined to only seat 16 fliers. Enjoy our world–renowned BLADE lounges, and start your trip with rosé served in BLADE's iconic sippy cup. Access to exclusive events, including holiday parties, fall awards season's film screenings, our famed Miami Art Basel party, partner events, fashion discounts, and more. Why sit in traffic when you can fly over it? Swipe right on BLADE-GX and do your travel right. Initial payment of $295 for BLADE-GX Card, granting cardholders reduced-fee flights between Manhattan and Hamptons or Nantucket. $150 off Hamptons and Nantucket by-the-seat flights (and $75 off Montauk Sky flights). $250 off BLADEone flights between New York and Miami. Save thousands of dollars annually through BLADE-GX membership. Nantucket flights are applicable to Westchester departures or arrivals only. BLADE-GX does not count towards special activations and reduced-fare flights, and flights under $695. The BLADE-GX cardholder must be 18 - 27 years of age. BLADE-GX cannot be combined with any season passes, such as Passport Ultra, Passport Xcel, or Nantucket Season Passes. BLADE-GX discount is only applicable to the cardholder. The BLADE-GX cardholder must be the user purchasing the flights. Flights cannot be used by non-BLADE-GX cardholders. The BLADE-GX cardholder must have an account with a matching credit card in his or her name in order for the discount to be applied. BLADE-GX membership purchased prior to September 25th, 2018 expires December 31st, 2018. BLADE-GX 2019 membership purchased after September 25th, 2018 expires on September 30th, 2019.